We’d love your help. Let us know what’s wrong with this preview of The Peripheral Mind by István Aranyosi. 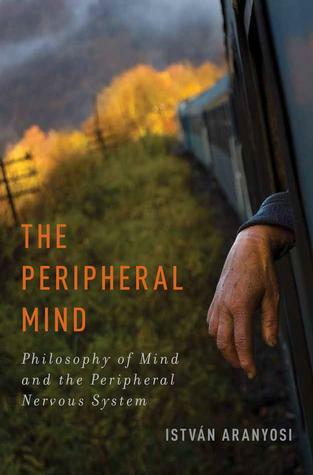 The Peripheral Mind introduces a novel approach to a wide range of issues in the philosophy of mind by shifting the focus of analysis from the brain to the Peripheral Nervous System (PNS). Contemporary philosophy of mind has neglected the potential significance of the PNS and has implicitly assumed that, ultimately, sensory and perceptual experience comes together in the b The Peripheral Mind introduces a novel approach to a wide range of issues in the philosophy of mind by shifting the focus of analysis from the brain to the Peripheral Nervous System (PNS). Contemporary philosophy of mind has neglected the potential significance of the PNS and has implicitly assumed that, ultimately, sensory and perceptual experience comes together in the brain. Istvan Aranyosi proposes a philosophical hypothesis according to which peripheral processes are considered as constitutive of sensory states rather than merely as causal contributors to them. Part of the motivation for the project is explained in the autobiographical opening chapter, which describes the author's subjective experiences with severe peripheral nerve damage. To ask other readers questions about The Peripheral Mind, please sign up.